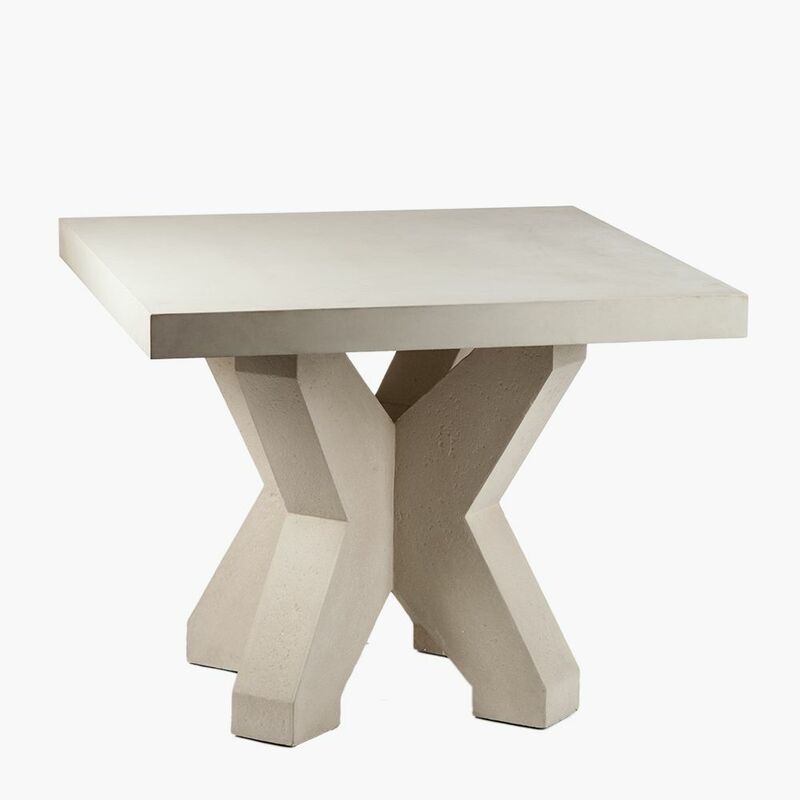 Dalle Cocktail Table - Stone Yard, Inc.
Styled as modern cocktail tables or streamlined metal and concrete side tables, the Dalle design fits seamlessly into any contemporary space. 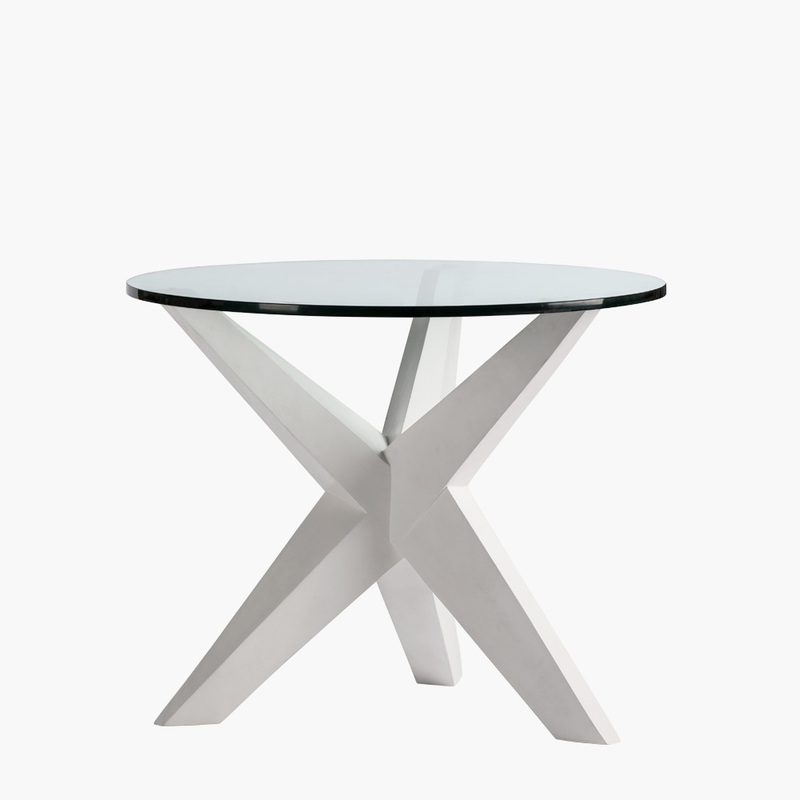 With clean lines that are showcased by a slim, angular metal base and substantial stone-like table top, the Dalle mixes sleek and strong with elegance. 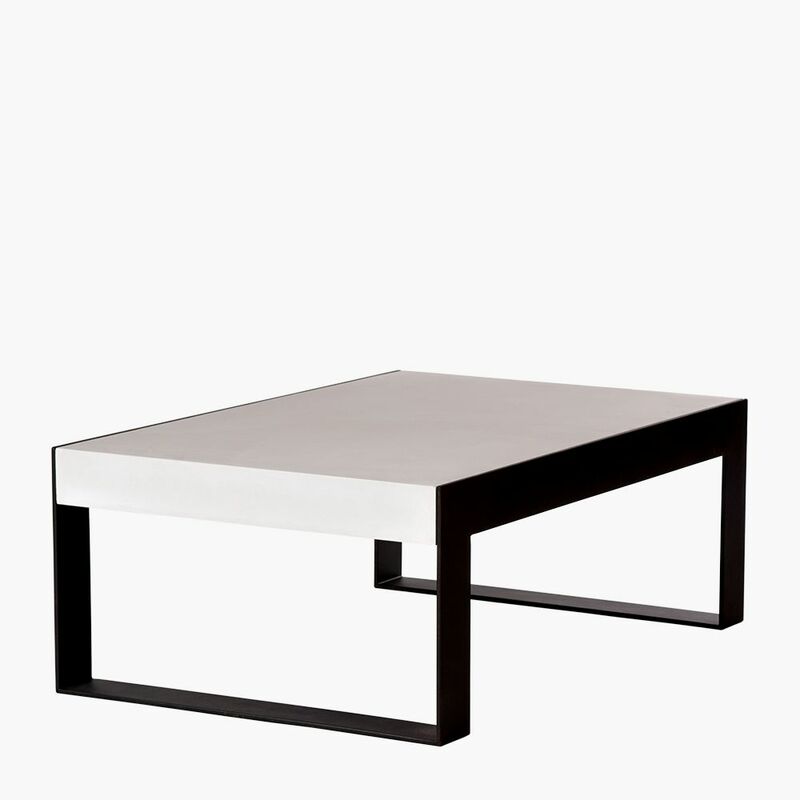 Available as a side table or cocktail table, the Dalle can be styled on its own or incorporated with the Dalle Console for a cohesive look. 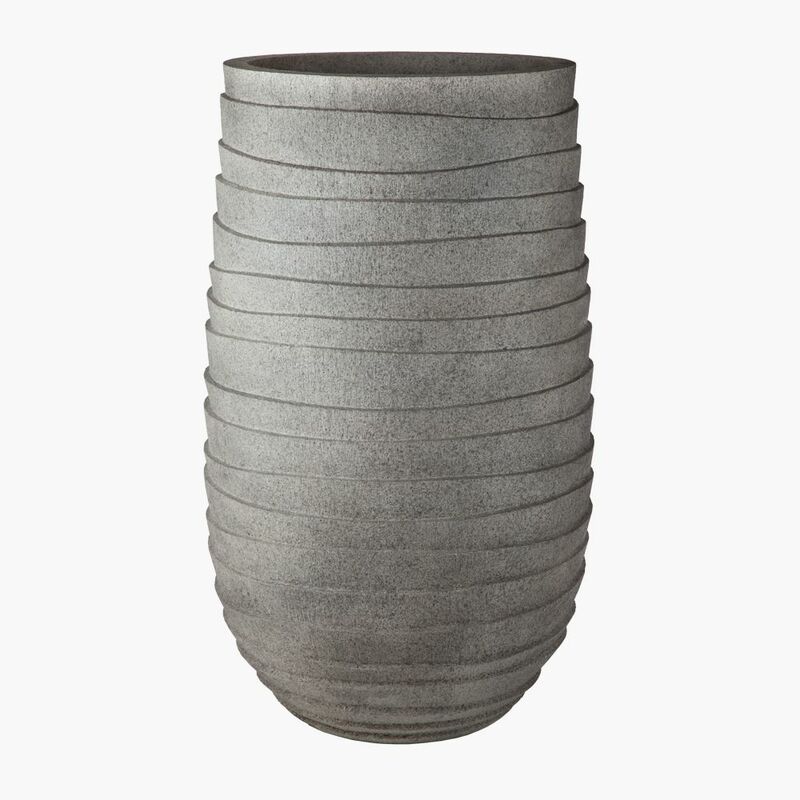 Crafted from powder-coated metal and a thick slab of GFRC or Fiberstone, both of which mimic the strength of concrete but without the added weight, the Dalle is a modern masterpiece of metal and stone. Like all of our unique designs, the Dalle can also be further customized to include the hand-painted finish of your choice and sized to fit your space. 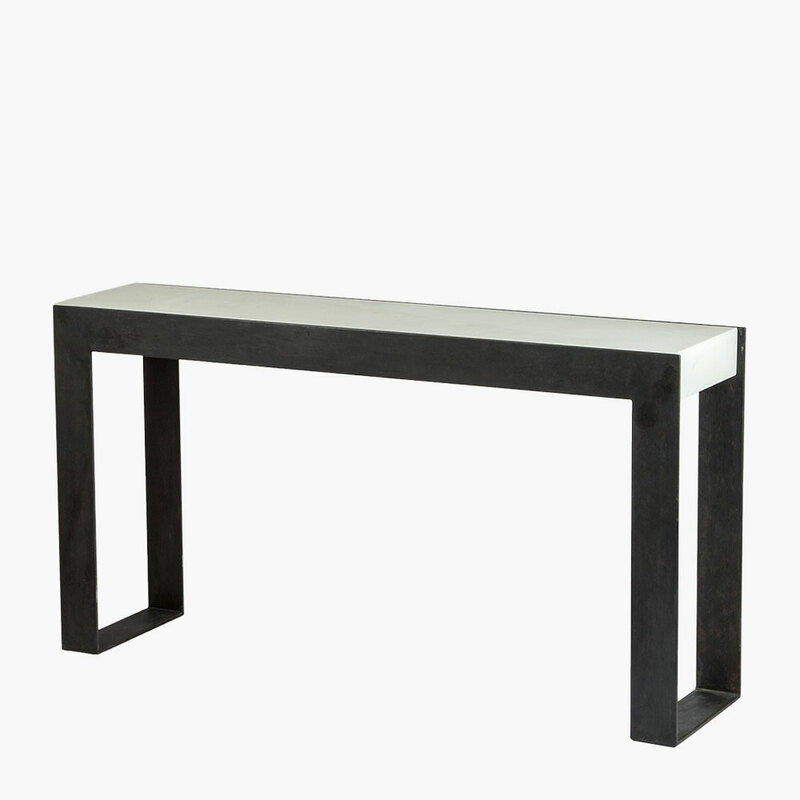 Inspired by Brutalist design sensibilities, this table is by all accounts raw in form yet with a refined minimalist style. In fact, the very name “Dalle” is derived from the French word for “slab,” which perfectly reflects the coming together of raw and refined: the melodic tones of French describing a rough, tactile stone slab. Handmade by expert artisans, like all of Stone Yard’s designs, the Dalle brings the disparate elements of steel and stone together in a chic geometric shape that pairs perfectly with industrial and minimalist style themes. 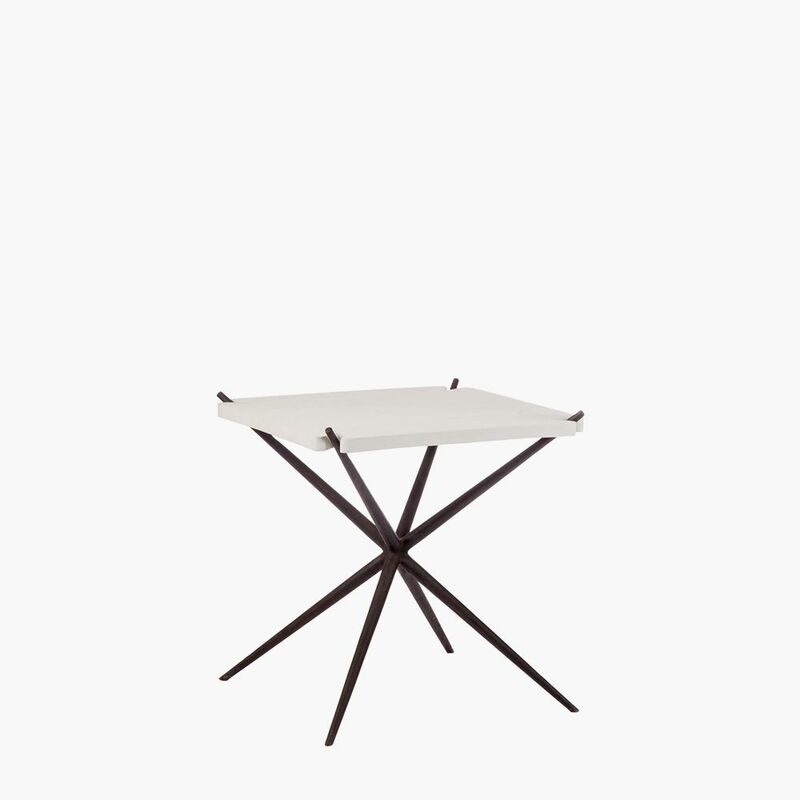 The Dalle cocktail table’s low-profile design is the perfect resting place for drinks and hors d’oeuvres, while the side table is the perfect accent table for sophisticated spaces. 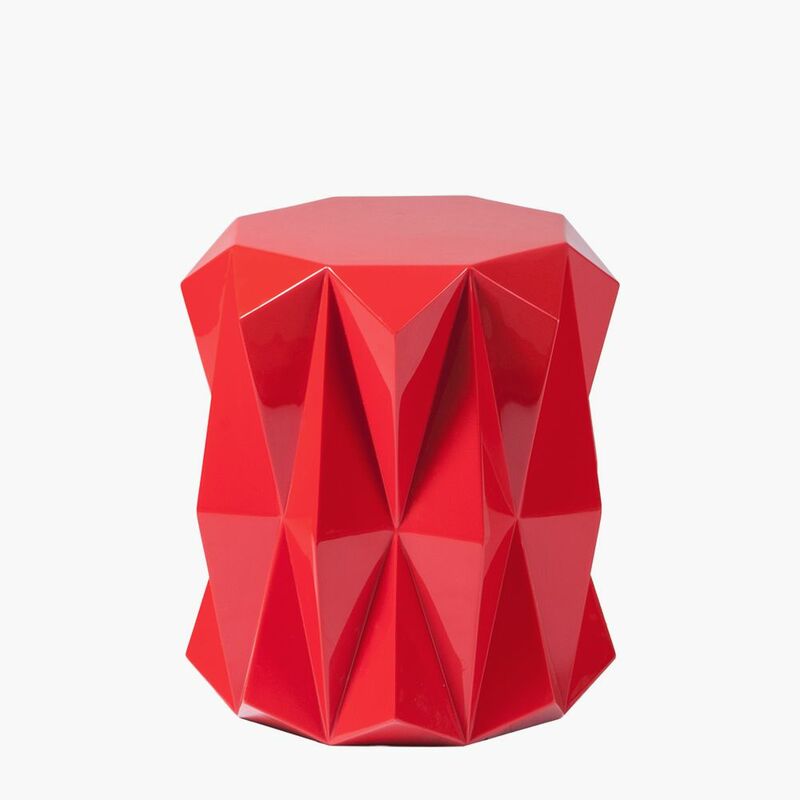 Private residence, hotel, restaurant—anywhere that elevated design lives, the Dalle will find a home. 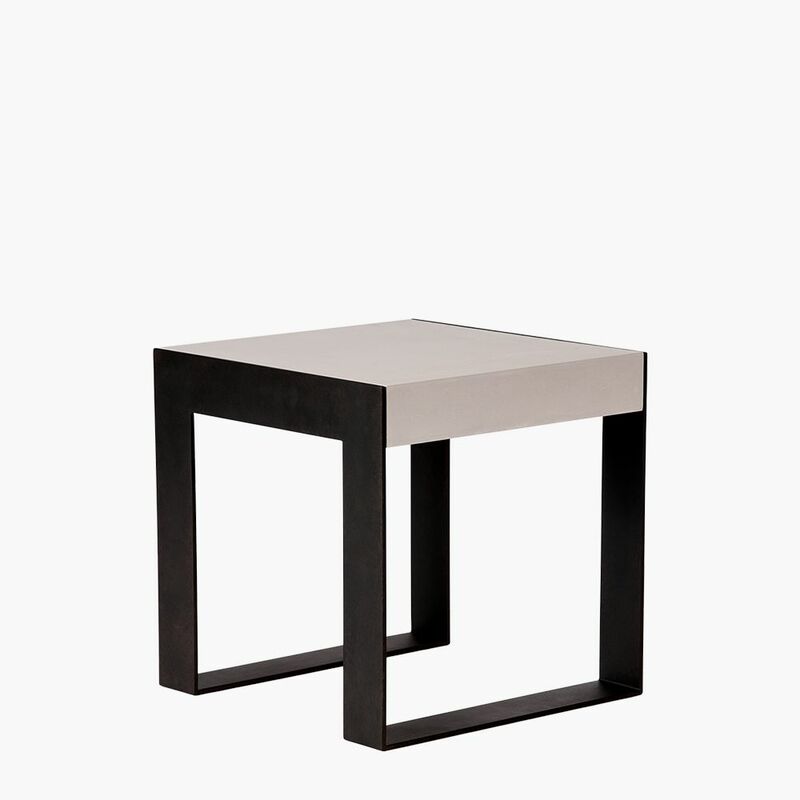 And since under its graceful aesthetic belies the strength of steel and the durability of GFRC or Fiberstone, this table will age gracefully whether in or out of doors, even in high-impact environments.